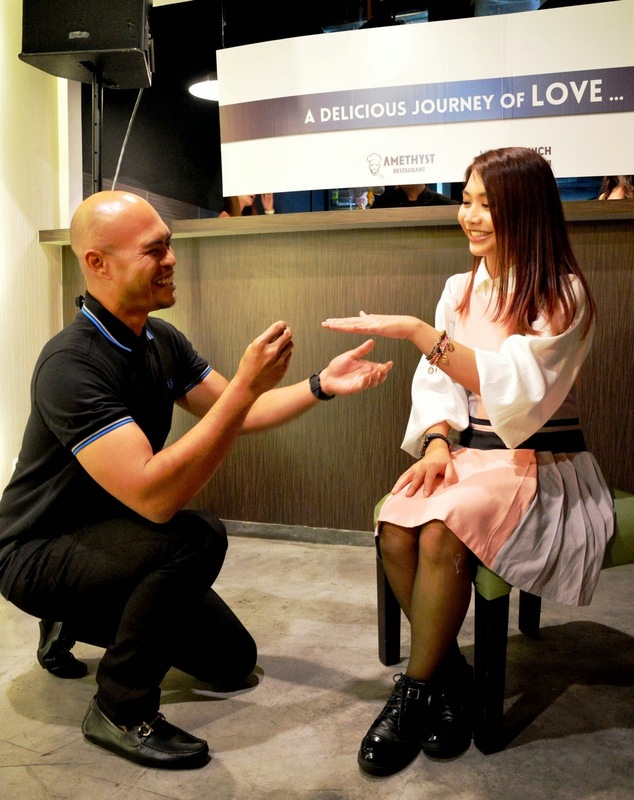 Amethyst restaurant officially opened its doors with much love in the air. Amethsyt can comfortably seat 60 people at any one time. Guests can take their pick from dining al-fresco all the way to simply cosying up at the VIP booth area. The open kitchen bar top concept also gives an inviting feel as if allowing you to step into its world as it whips up delectable fares for you. 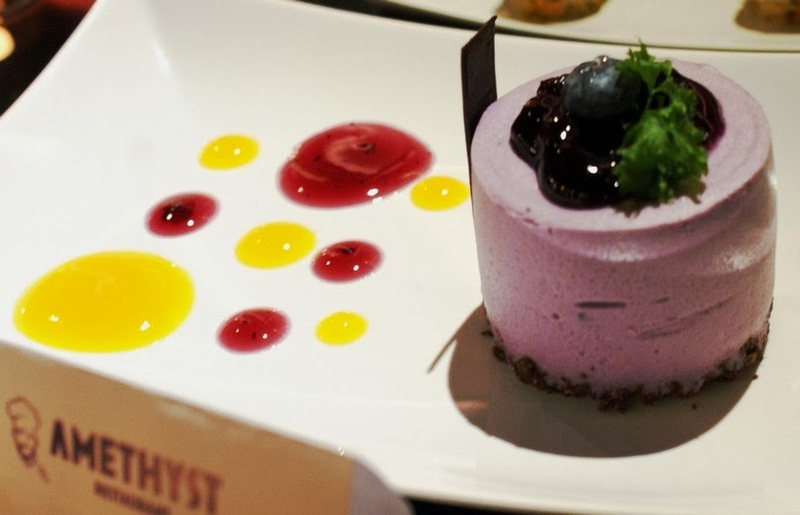 Befitting the meaning of the stone, Amethyst is a mid-casual dining restaurant that harmoniously combines a touch of luxury and comfort in its deco of rich purple tones, private corners and warms lights. Its food also boasts generous portions of quality ingredients bursting with unique flavours, passion and love. 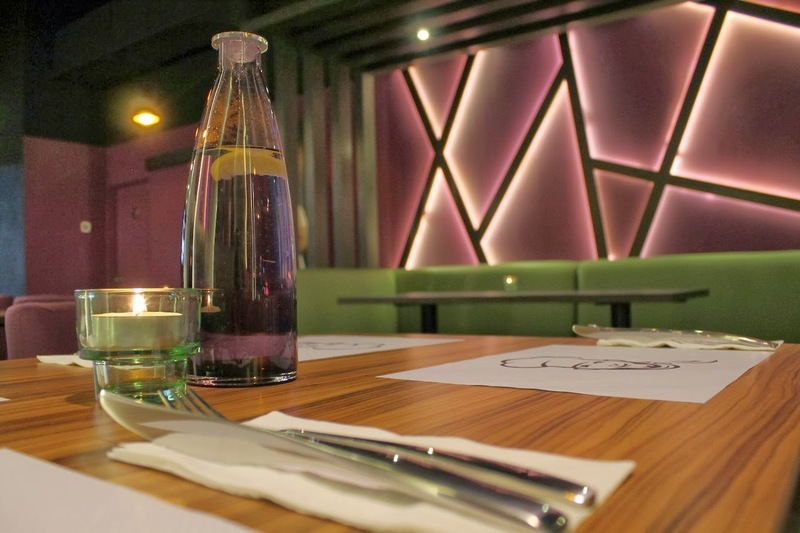 The restaurant serves a mixture of western-Italian food. Amethyst’s signature dishes are rather unique. Such is the ratatouille steak with saffron rice. 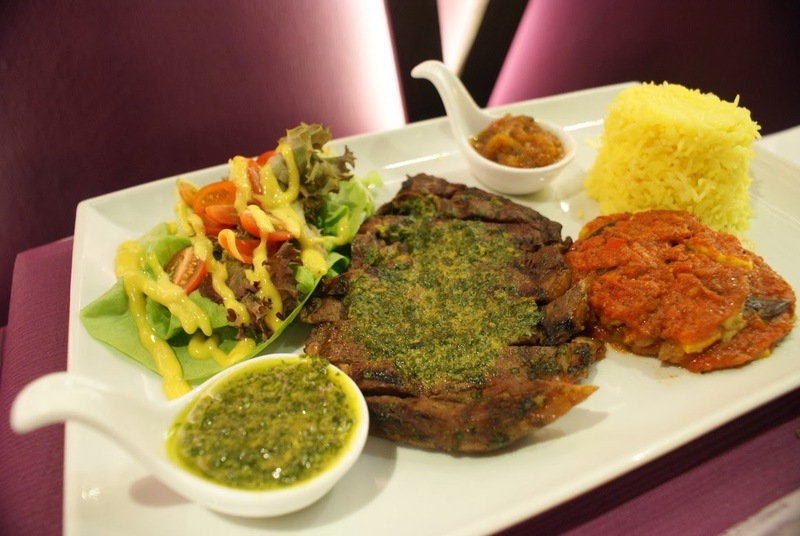 The well marinated beef is cooked to tender texture and served with saffron rice, home-made chutney, and ratatouille. The flavours are nothing short of a rich combination of sweet, sour and spicy, all in one plate. Other signature dishes include their Barbequed Chicken Wings, which is marinated in a secret sauce; a variety of vegetarian pastas; special Greece mix fillet sandwich; and more. 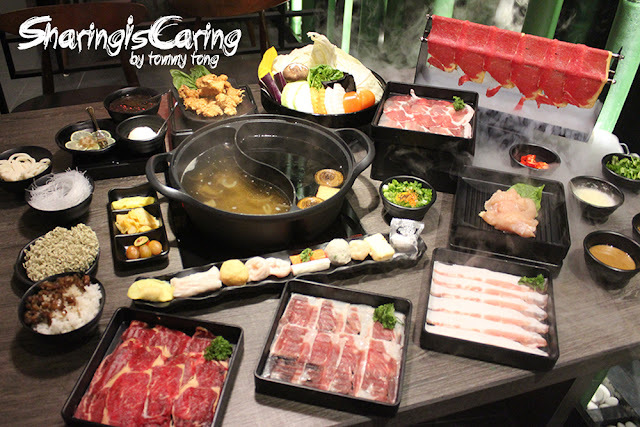 The familiar dishes are also played up with a dash of home-made sauces and creative cooking methods to bring out unique flavours and textures. This can be said of their Crispy Skin Salmon, which is pan fried salmon on a bed of spinach with lemon caper sauce – the juicy and tender salmon with the spinach cooked in the special sauce makes for a truly divine combination. Even the Lamb Shank is cooked to tender perfection with a rather unique flavoured sauce. 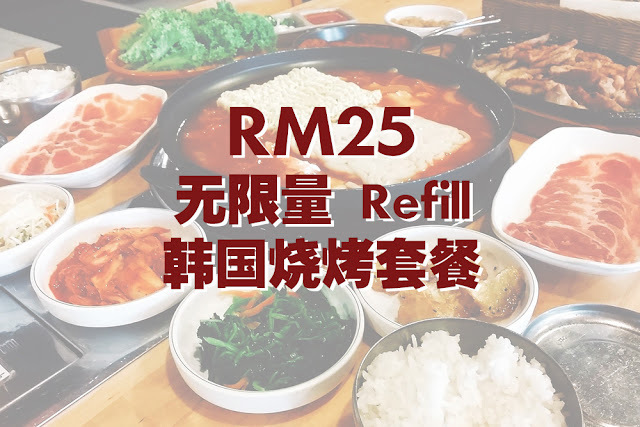 Dishes at Amethyst start from RM 16 to RM 52. Located at A4-G2-06, Publika, No. 1, Jalan Dutamas 1, 50480 Kuala Lumpur, Amethyst is open on weekdays from 10am-11pm, while on the weekends and public holidays from 10am-1am. 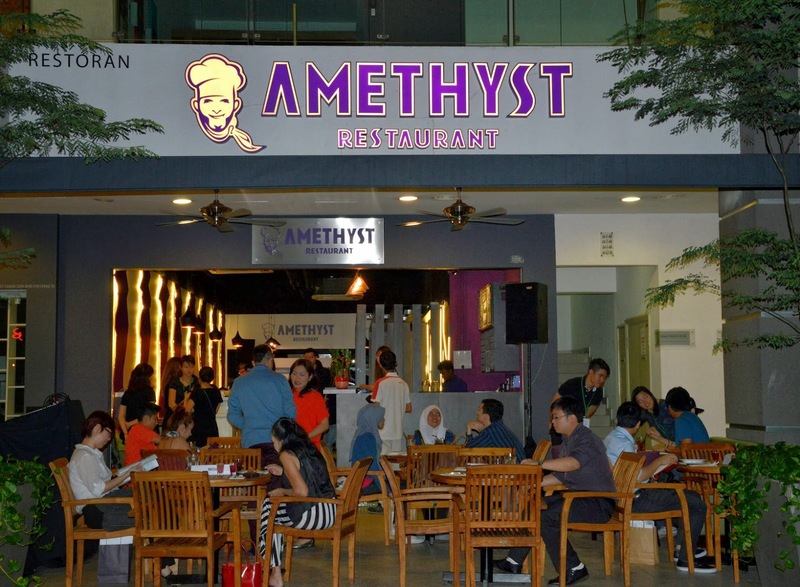 Stay connected with Amethyst via www.facebook.com/amethyst.restaurant or call +603-6206 5797.